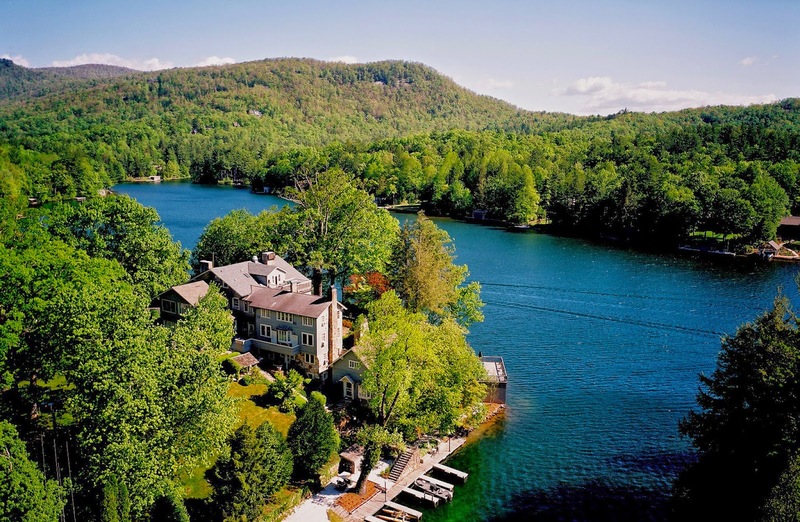 On the shores of Lake Toxaway, North Carolina, the historic Greystone Inn is undergoing a meticulous renovation under the direction of Natural Retreats. Intended to christen a new era for the property, the work will introduce a series of improvements designed to increase the appeal of the resort to new generations. These investments are balanced by initiatives that will help restore and preserve the special character that has made the Greystone Inn a destination of choice since 1903 and recipient of the prestigious AAA Four Diamond Award for 27 consecutive years. While renovation activities will take place over a 24-month timeframe, Natural Retreats will host an official Grand Opening event on Saturday, June 14th, to celebrate with loyal Greystone Inn guests, Lake Toxaway homeowners and local community members. The event will feature free BBQ, an Oskar Brews Brewery Tent, casting lessons and demonstrations from Natural Retreats fly fishing guides, kayaking and paddle board races, free lake cruises on the Miss Lucy, Mountain Hardwear product demonstrations, and other family-oriented games and activities throughout the day. Restoration initiatives include examination and selective improvement to building exteriors, plumbing and electrical systems, landscaping, and removing underground fuel tanks and adjacent contaminated soil; investment in guest rooms including new bedding (duvets, sheets, pillows and blankets), mattresses, window shades, select bath fixtures, and selective painting; replacement of carpet, reupholstering of chairs and new artwork in the dining room; refurbishment and addition of new outdoor furniture; and installation of a new front awning. New features of the Greystone Inn include an Outfitter Shop with a Starbucks outlet adjacent to the lobby, a new bar in the lobby lounge with associated seating featuring a panoramic view of Lake Toxaway, new flat screen televisions in Mansion Building guest rooms, and renovation of the Presidential Suite into the Southern Living Honeymoon Suite. Southern Living is leading a comprehensive redecoration of the suite, including all furniture and fixtures, to be featured in the September issue ofSouthern Living magazine. Creation of the Outfitters Shop will be accompanied by expansion of guided fly fishing and rock climbing excursions alongside traditional opportunities for hiking, biking, golf, and champagne cruises across Lake Toxaway. Online booking for the Greystone Inn is now open at http://www.naturalretreats.com/us/lake-toxaway/greystone-inn-accommodation/.